Weed maintenance is a chore and a thankless task. As soon as you get one area under control another springs up. Large areas that have few other plants tend to be the worst as there is simply more soil space and nutrients available. The trick is to cover the soil space so weed seeds do not have a roosting spot and to give the weeds competition for water and nutrition. Ground covers are a great way to minimize the weeding chores and give a boring area of dirt some life. Ground covers are not a foolproof weed deterrent. Some weeds will still grow and they can be tricky to get rid of in the midst of all that foliage. Proper preparation of the area will minimize any future weed issues and encourage healthy plant growth. Till and weed the area. 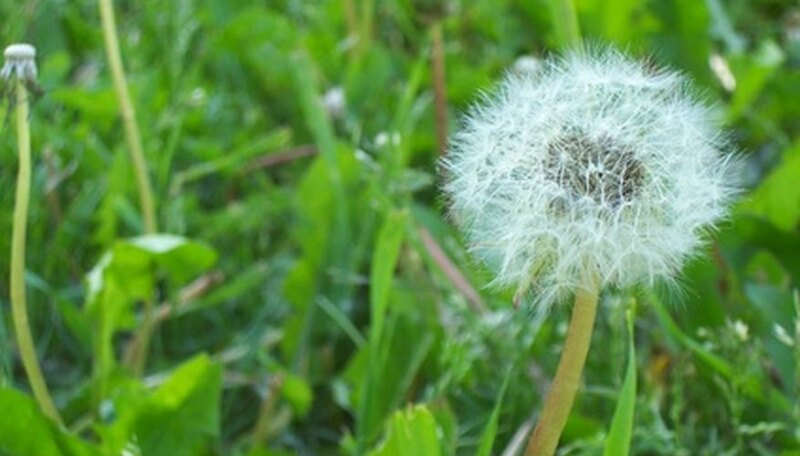 Wait a couple of weeks for weeds to emerge and either mechanically remove them, including the roots, or spray with a weed killer. Wait another week and top the soil with a thick layer of compost to give nutrition and act as another weed barrier. Alternatively, you can put down a plastic or fabric weed barrier then top with soil or compost. The bed is now ready to plant. You can plant ground cover at any time as long as the ground is not frozen. Additionally, you do not want to plant when the soil is saturated. Planting distances should depend on the type of ground cover. As a rule, plant 4-inch pots 10 to 12 inches apart while 2-inch pots need to be 8 inches apart. Small leaved ground covers, like thyme, can be planted even closer unless you want to wait several years for full coverage. The whole key to managing weeds with ground cover depends on full coverage to choke out the light that the weeds need to grow. The type of ground cover will depend upon the soil situation and the light. There are sun ground covers and shade ground covers. The important thing is to plant something that will grow quickly enough to form a mat that retards weed growth and shades the area preserving moisture. Ground covers should be evergreen and have a spreading habit. Vinca is a good sun or shade ground cover that sends out runners that create new plants. The ideal height is about eighteen inches and the ground cover should be low maintenance. Occasionally you will find that weeds have managed to get through the ground cover. It can be frustrating trying to deal with these mechanically since you usually cannot get at the roots through the ground cover. If you are planting in an area that has had grass problems, you should pick a ground cover that you will be able to spray to kill off grass as it comes through. Apply a fusilade herbicide that is targeted for killing grasses. In addition to occasional herbicide use, most ground covers will benefit from fertilizing in late winter and early spring. Two to Four pounds per 1,000 square feet of balanced fertilizer will provide good general nutrition for the plants. If you broadcast the fertilizer, you will need to water it in and spray off foliage to remove any fertilizer that adhered to leaves. Ground covers do not need as much watering as an open unplanted area because they trap moisture and preserve it by diminishing sun evaporation. They do need water so a physical check of the soil may be necessary. Dig a finger into soil under the plants and if it is dry several inches down it is time to water. Pruning in early spring may be needed to keep height down or reduce the size of the ground cover. Dead branches and damaged plants can be removed at this time to keep the ground cover looking green and healthy.